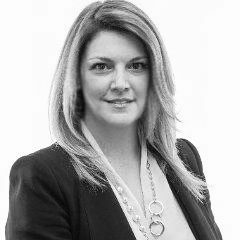 With over 25 years of diverse experience in financial services, it is Rosanna's responsibility to introduce existing TD clients, as well as valued prospective clients to the world of private wealth management, and to bring to life all of what TD Wealth can do to help simplify the lives of the organization's top relationships. Rosanna seeks to find out what truly matters most to the client, and how TD Wealth's platform can support each unique individual, family and organization. From core banking and credit, through tailored investment management, all the way to medium-long term considerations like Will & Estate planning strategies, Rosanna is there to act as lead and guide of the wealth strategy more broadly. At TD Private Wealth Management, we believe that each client’s needs are truly unique. Our goal is to help, offer you the relevant, customized wealth advice you deserve - and we can do that only by fully understanding you. That's why we take a unique approach to understanding you, your family and your values. We are dedicated to delivering tailored, comprehensive, wealth management strategies that are established from your goals. We will stay in tune with your needs and help ensure you're on track to achieve the future you envision for yourself. As a dedicated Senior Private Banker Belinda has over 20 years of experience within the TD Bank Financial Group. She joined TD Private Wealth Management in January 2008 and her focus is to provide an exceptional client experience. Together, she works with clients to identify financial goals and then draws on the expertise other TD professionals as required to create and implement an integrated wealth management solution. Private Banking is a dedicated personalized solution for busy professionals, business owners, high net worth clients and world travelers. She works with clients to ensure their goals and dreams for wealth accumulation, preservation and transition are met. She helps to build a successful team of professional associates for each family relationship in order to ensure that their financial plan is tailored and customized to their specific goals.